Summary: A professional MKV player would be necessary if you want to play MKV on your devices. Here are the top 25 best MKV media players that you can use on your Windows, Mac, iOS, or Android without any hassle. MKV files were developed by Russian developers in 2002 with the aim to develop a file format that would serve as a multimedia container unit. The word was derived from the Russian word “matryoshka” which signifies nesting dolls. Today these files are known, not for video or audio compression but because MKV, as a file container, can incorporate subtitles, video, and audio into single files. Since MKV files are not part of the industry standards, not all media players can support and play such files. There are two options that are usually incorporated for playing such files, using a media MKV player that is MKV compatible or with the use of the right codecs which can be downloaded in a media player you are using. This MKV player takes the top of the list for the different features that it offers. Being a versatile player, not only will you find convenient support for MKV files but also for other multimedia files. Today it is rated as the best media player for 4K UHD resolution screens along with HDR10 support. ● It can play DVDs,Blu-ray,4K Ultra HD Blu-ray filesas well as any video files including 4K videos. ● Playback modes for TV and PC are available. ● Support provided for Hi-Resaudio and HDR10. ● 3D playback is provided for all kinds of 3D multimedia content. It is known to feature a playback engine that ensures smoothness of playback, compatibility, and stability. The user interface has been redesigned to offer entertainment experience as per TV and PC playback mode. The menu support that is found on the player along with Dolby Atmos, DTS HD Master, and Dolby TrueHD technology helps ensure that the sound production is state of the art. 5KPlayer for Mac and Windows comes as a free player for MKV files. This video player has an interface that is customer oriented and user-friendly; it includes easy solutions for playback of Matroska videos. The interface is easy to use and it is easy to play MKV files as well as other videos of large-scale formats such as M2TS, MPEG-4, MOD, AVCHD, H.264, AVI, MOV, FLV, and WMV. TheMKV playerruns without using much of the computer resources. This particular player, offered by iDruf, comes as a freeMKVplayer which can be downloaded from several official download websites. The key features that it flaunts comprise a multitasking panel that can be optimized and is adjustable; it also acts as a multimedia tool that makes streaming smooth. This is another MKV media player that is long standing in this industry. Video playback on this player is hassle free and quick. It can change color with every track played; imports album art of tracks played, playback options, plug-ins, and visualizations are showcased. It also supports the 3D format. This media player for Windows needs no introduction. Developed by VideoLan, this particular software can support formats of a wide range, including MKV files. There are hotkey support features, a user-friendly interface and a useful aspect of being able to integrate with different services that offer web channel streaming. This particular software by Digiarty offers several configuration choices when playing different audio and video files as an MKV video player. There are built-in codec files and support provided for Blu-ray, DVD and HD videos. Thisplayer program, offered by Ricardo Villalba, plays different kinds of video formats, excels in offering subtitles, switching of audio tracks, playback at multiple speed and non-dependence on codec files when playing MKV files. 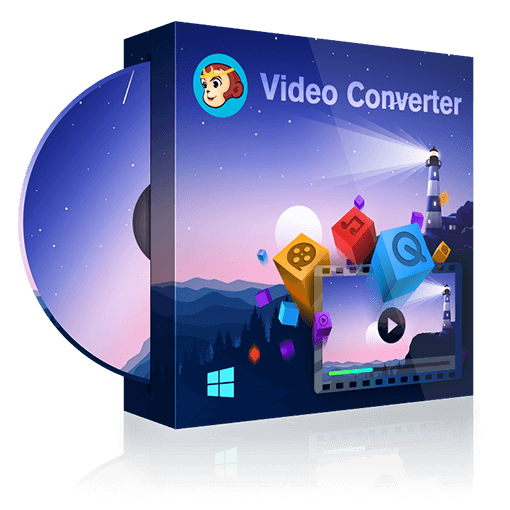 This particular software is a member of the top video player list for Windows and it is reliable in its usage and features. This particular software can be your MKV file and other video format player. It also incorporates editing functions such as rotating and cropping aspects as well as shows playlist options, subtitles, and screenshots. One of the advantages of this player is its ability to open up and start reading files, whether they are Blu-ray, MKV, DVD, and others. This particular software by JetAudio can play videos in diverse formats. Tags can be edited easily in this software; there is a timer and alarm feature incorporated which is unique. This software is reviewed as a popular choice among freeware video applications that exist for Windows. File formats play well including MKV files. The popular file formats that you can play on this application are MPEG, AVI, QT, MOV, MP4, and others. This is another recommended best MKV playerfor video playback of MKV files. There are certain enhanced feature that this player provides such as support to audio tracks and eight different subtitles of MKV files; it is also possible to rewind and fast forward to the playing process and the different chapters in an MKV file. This particular software also comes as an MKV media player with a Mac version. It can play anything, can integrate with different web channels and has a slicker interface. It plays HD and Blu-Ray files and offers support for different file formats including MKV files. This particular player, as per its name, can not only play HD and Blu-ray files but also other file types, including MKV files. It can integrate with different social media channels and is free to be used for the initial three months. This application acts as a third party component to Quick Time. It aids and supports video formats of different varieties including MKV. The application installs easily and there is a preference panel which helps to choose and add preferred videos to a watch list quickly. XBMC is an app that is popular with Mac devices for playing MKV videos. The advantage is its interface that is easy to focus upon, especially for media usage. It acts as a versatile media console. The best way to watch MKV videos on this application is to copy and paste MKV videos onto the Movies directory. This is a player that works similar to XBMC. It is considered a media center app and the interface includes several functions. MKV files are played well here and it is easy to drag and drop files here through Plex icon for loading any movie. This well-known player by VideoLan is made available for iOS devices as well. The key features here include the ability to play MKV and other files as well as streaming subtitles and audio tracks. It provides additional functions like manipulation of playback speed, the inclusion of video filters and fine seeking abilities. This particular software program, known as a primary movie player, can play movie files in different video formats. It can play films from DropBox, stream from FTP server and local or UPnP media server. This particular version of the software allows users to watch different films on iOS devices. All kinds of file formats are supported by this app. This particular player developed by Shan Xu offers several key features such as support to different file formats including MKV. The MKV playercan help display embedded subtitles, hardware decoding of videos and being able to stream videos from wireless hard disks, NAS and PC. PentaLoop is the developer and provider of this particular software. It offers key features like Wi-Fi, UPnP, and SMB support. The Mac Finder interface is useful for viewers and it offers a unique ability to play files from email attachments and sets pass-codes for restricting access to folders or files. Apple offers restrictions and this particular software can provide all kinds of functions and features that one could ask for within the confined gardens of iOS devices. This particular software for iOS devices can be useful for running different audiovisual file formats including MKV. There are different features that this software offers such as full-screen mode, converting videos to MOV format and streaming videos from one’s computer. This software is known to make it easy to stream content from PC to mobile devices via 3G/4G or Wi-Fi. This versatile software, that has been a long-standing multimedia file player for Windows, is now available for iOS as well as Android devices. The key features that you will find in this file include the ability for playing audio and video files. It has a media library that supports video and audio files of different formats and allows easy browsing access. There is support provided for subtitles and multiple track audio files as well. This particular software is an open source application and has been adapted well for Android devices. This particular program, easy to download from Google Play for Android devices, can play different formats including MKV files. It can help exchange files with other devices, manage different media files and supports network-based streaming. This particular software, an offering from J2Interactive, has several key features to offer. These include hardware acceleration which can apply to different videos. It is also known as one of the video players for Android devices that supports decoding that are multi-core. This app helps users to zoom in and out on their interactive screens; scroll forward or backward, move out, up or down, in and out. It is an easy media player that is great for kids. This is yet another popular multimedia program offered by Euphemia. There are different features supported such as different video formats, supports different subtitle formats as well and can read and display subtitles embedded in files like MOV, MKV, and others. This particular MKV file playercum converter can support a dozen formats and more. There is a video player that is built in as well as incorporates editing tools that come in handy in editing video files of different formats. It offers support for different tablets of varying screen size resolution. Other useful features in this program include hardware and software acceleration, x-core decoding as well as the change aspect ratio for viewing movies of different formats. The above segments provide useful lists of MKV players that you can download for different computer and mobile operating systems which feature different functionalities and fully support for MKV files. DVDFab Player 5 is definitely your best choice if you want to play MKV on your Windows. Are you a fan of Christian rap song? Here are the top Christian rap songs for you to enjoyment. You can also download these songs with an easy-to-use YouTube downloader. How to Download the Latest Music from YouTube? Check the list of the latest music and songs to find the ones you like best. Here we also offer you a method to download the latest music from YouTube. How to Change the Default Video Player on Mac? Do you want to change the default Mac video player to your favorite one? Here are detailed steps to change the default video player on Mac.